Glucose is an important nutrient required for basic cellular metabolism and is the obligatory source of energy for the brain. Sources of glucose come from the digestion of carbohydrates and other nutrients consumed in food, the breakdown of storages through glycogenolysis and the production from glucose precursor amino-acids through gluconeogenesis. Many problems can arise when glucose is not regulated appropriately. Glycemic regulation is a finely tuned balancing act involving organs such as the pancreas and the liver. The pancreas is small, yet important organ, that has exocrine functionality, aiding in the digestion of nutrients, and possesses important endocrine functions as well. Groups of specialized cells known as the Islets of Langerhans work to support pancreatic endocrine function and ultimately support euglycemia. The Islets of Langerhans are comprised of alpha (α), beta (β), delta (δ) cells and secrete glucagon, insulin and somatostatin hormones respectively. Insulin is the main hormone responsible for decreasing blood glucose levels. It is secreted from β-cells in response to rising blood glucose levels often resulting from a large meal. Insulin promotes glucose uptake into the cells by triggering insulin specific receptors located on cellular membranes. All excess glucose is stored for future use in the muscle, liver and adipose tissues in the form of glycogen. The liver serves as a major source of glucose as two-thirds of all glucose absorbed by the intestines will be stored in the liver as glycogen. Glucagon is the main hormone responsible for increasing blood glucose levels. It is secreted by the α- cells in response to falling blood glucose levels and acts directly on the liver to stimulates gluconeogenesis and glycogenolysis. Other hormones that aid to increase blood glucose concentrations are epinephrine, cortisol and growth hormone. Hypoglycemia is defined as a blood sugar below 60 mg/dL. It occurs when glucose utilization exceeds glucose production and can be narrowed down to one of three reasons: hyperinsulinemia, decrease glucose production, or increase glucose consumption. Glucose is essential for cellular function but more importantly, it serves as the only source of energy for the brain. Blood glucose levels of 50 to 70 mg/dL result in hypersensitization of the central nervous system (CNS) resulting in symptoms such as extreme anxiety and restlessness in our small animal patients. Vocalization, nausea, vomiting, diarrhea, weakness and collapse have also been reported in hypoglycemic patients. Prolonged hypoglycemia can lead to decrease CNS glucose metabolism and increase CNS depression. Blood glucose values ranging from 20 to 50 mg/dL can result in neuroglycopenia and serious CNS side effects, including deceased mentation, blindness, star gazing, seizure activity and even coma. Hyperinsulinemia. Hyperinsulinemia is an increase of circulating insulin in relation to blood glucose levels. High levels of insulin can lead to a glucose utilization which exceeds the body’s glucose producing countermeasures. It can be a result of such things as administering too much exogenous insulin, exposure to certain toxins/medications, and insulin-producing neoplastic processes known as insulinomas. Diabetes mellitus is a disease in which β-cells are either not producing enough insulin or secreting non-effective insulin leading to hyperglycemia. The mainstay of treatment for this disease is injections of exogenous insulin to regulate blood glucose. Administering too much insulin to a patient could quickly lead to hypoglycemia. Feline patients have the ability to enter a remission from their diabetes mellitus. These patients are receiving exogenous insulin when their endogenous insulin begins to function normally again. Remission is often diagnosed after a patient experiences a hypoglycemic crisis as a result of the high levels circulating insulin. Xylitol is an artificial sweetener used in numerous human food products, the most notable being chewing gum. Xylitol causes the patient’s pancreas to produce an overwhelming amount of insulin. This surge of insulin results in profound hypoglycemia. Xylitol has also been reported to cause liver necrosis, contributing to a patient’s prolonged inability to regulate blood glucose. Medications known as sulfonylureas are widely used in human medicine to treat Type II Diabetes. They work to reduce blood glucose by stimulating insulin production in the pancreas. Animals accidentally exposed to these medications will have profound hypoglycemic effects. Insulinomas are functional tumors originating from the β-cells of the pancreas that secrete large amounts of insulin resulting in increased glucose uptake. While tumors are typically benign in humans, they are found to be largely malignant in canines and felines. Insulinoma metastases will also secrete large amounts of insulin compounding a patient’s hypoglycemic condition. Decreased glucose production. Patients who have an impaired ability to produce glucose will often present to the clinic for hypoglycemia. Neonatal and pediatric patients are some of the most commonly represented patients fitting this description due to their immature livers and limited glycogen stores. Patients with hepatic disease as well as Addisonian patients will also have a decrease ability to produce glucose. Hepatopathies such as portosystemic shunts, infectious or inflammatory hepatitis, hepatic lipidosis and glycogen storage diseases can cause hypoglycemia. Since the liver is the main storage source for glycogen and is the primary target for glucagon, glucose homeostasis can be very difficult in patients with severe hepatic disease. Glycogenolysis and gluconeogenesis becomes virtually impossible once 70% of the liver function is affected by disease. Hypoadrenocorticism, also known as Addison’s disease, is a disease that results in the decrease production of cortisol. Cortisol is not only the body’s stress hormone, but it is a glucose regulating hormone as well, and it modulates insulin, reducing its efficacy and resulting in a decrease in glucose uptake by cells. Cortisol also works to increase blood glucose by stimulating gluconeogenesis within the liver. An inability to produce this hormone, as seen with hypoadrenocorticism, can result in hypoglycemia although neuroglycopenia is rarely seen with this condition. Increased glucose utilization/consumption. Severe infections, excessive exercise, pregnancy, polycythemia and leukocytosis can all result in hypoglycemia. These conditions all result in an increased glucose cellular requirement. This requirement overpowers the body’s compensatory glucose production mechanisms, leading to hypoglycemia. Presenting complaints and clinical symptoms are not enough to diagnose a patient with hypoglycemia. Many other conditions can result in similar symptoms. Point-of-care analyzers such as glucometers are effective tools to measure a patient’s blood glucose quickly, however, human grade glucometers have been found to be less than accurate in veterinary patients. Ideally, testing should be performed on a veterinary specific glucometer, as the algorithms utilized in these units are specific to canines and felines. Blood samples collected for serum biochemical testing should be spun within 30 minutes of procurement. Pseudohypoglycemia is a common finding in samples that have been inadequately separated or have been allowed to sit, unspun for prolong periods of time. Blood sampling prior to any treatments can be beneficial in diagnosing an insulinoma. A blood chemistry tests known as an insulin to glucose (I:G) ratio and a blood fructosamine level are often performed in patients with hypoglycemia of unknown etiology. The I:G ratio is used to quantify a patient’s circulating serum insulin concentrations in comparison to circulating glucose concentrations. A fructosamine level evaluates the patient’s blood glucose regulation over a period of time. A low I:G ratio and a low fructosamine level can be indicative of an insulinoma. The results of these blood tests may be altered significantly if the patient receives any exogenous glucose prior to collection. To prevent this, these tests can be drawn upon intravenous catheterization, before infusion of any solutions, and therefore should not prolong treatment. Patients presenting with severe neuroglycopenic symptoms such as seizures and coma should be treated immediately once hypoglycemia has been confirmed. Intravenous administration of 50% dextrose (0.5g/kg OR 1mL/kg), diluted 1:2 and up to 1:4, slowly over 5 minutes should result in the return of CNS function within minutes. Dextrose at these concentrations is considered hypertonic which can cause phlebitis and should be administered through an intravenous catheter to prevent extravasation. Dextrose infusions should also be delivered slowly to prevent the blood glucose from rising too quickly, in turn causing the immediate release of insulin and a potential rebound in hypoglycemia. Patients who have sustained hypoglycemia for a prolonged period of time may have developed extensive or irreversible brain damage and have the potential to remain in a coma for a period of time or never recover. Bolus infusions of intravenous dextrose should be utilized judiciously in patients suspected of having an insulinoma. Creating a sudden rise in blood glucose can lead to even more insulin to be secreted and a rebound hypoglycemia can result. It is not recommended that these patients receive supplemental dextrose unless absolutely necessary. Patients clinical for their insulinoma can often benefit from small alterations to blood glucose which small, frequent meals can provide. This method of treatment can also prevent the large swings in blood glucose caused by intravenous dextrose boluses. Once a patient has been stabilized, they should be offered a low carbohydrate meal. Low carbohydrate meals are preferred in order to prevent the sudden rise in blood glucose resulting in excessive insulin secretion. These meals should be small and offered frequently throughout the patient’s hospitalization with the purpose of gently regulating blood glucose until a source of the hypoglycemia can be identified. Patients that are unable or unwilling to eat should be maintained on a dextrose constant rate infusion. Concentrations of 2.5% and 5% dextrose solutions are commonly formulated in isotonic crystalloids and delivered at maintenance rates. Any concentration exceeding 5% should be delivered through a central venous catheter as the osmolality at these concentrations is too high for peripheral vasculature to withstand. Hypotonic crystalloids such as 5% dextrose in water should be avoided for treatment of hypoglycemia. These solutions and can lead to cellular damage as well as major electrolyte disturbances. Serial blood glucose monitoring in hypoglycemic patients is essential to ensure that treatment is effective. These values can be obtained as frequently as every 30 minutes during stabilization through initial therapy and can decrease in frequency as the patient proves responsive to treatment or demonstrates glucose self-regulation. A central venous catheter can prove convenient and effective at reducing the stress of phlebotomy in cases that need extensive blood glucose monitoring. Guyton A, Hall J. Insulin, Glucagon, and Diabetes Mellitus. In: Textbook of Medical Physiology, 7th Edition. Philadelphia, PA.: Elsevier, Inc.; 2006: 961-77. Koenig, A. Hypoglycemia. In: Silverstein, D.C. & Hopper, K. (Eds. ), Small Animal Critical Care Medicine. St. Louis, MO: Elsevier, Inc.; 2015: 295-9. Nelson, R.W. Disorders of the Endocrine Pancreas. In: Nelson, R.W. & Couto, C.G. (Eds.) Small Animal Internal Medicine. St. Louis, MO: Mosby Inc.; 2009: 765-809. Patty Pate, CVT, VTS (ECC), CFE has nearly 20 years of experience in the veterinary field with 17 years focused on emergency and critical care, working in the emergency rooms at Massachusetts Veterinary Referral Hospital, Bulger Veterinary Hospital, and Port City Veterinary Referral Hospital. Patty is a Certified Veterinary Technician in both New Hampshire and Massachusetts, and in 2012, she continued on to earn her Veterinary Technician Specialty in the discipline of Emergency and Critical Care. In her role as Technician Learning and Development Manager for Ethos Veterinary Health (East Region), Patty works to provide educational opportunities to nearly 400 veterinary technicians. She was instrumental in the development of the Ethos AVA Program and is a primary instructor for the program. Patty is a certified Compassion Fatigue Educator and lectures regularly on emergency, critical care, and compassion fatigue. 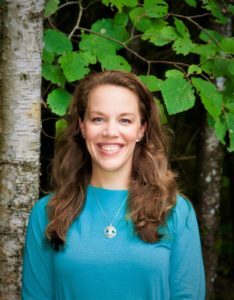 She supports her profession by serving as the secretary for the New Hampshire Veterinary Technician Association and as a mentor for technicians interested in advancing towards their VTS in emergency and critical care.